Greetings. 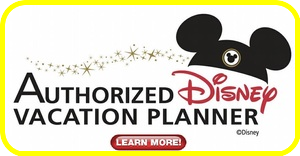 My name is William Bragg and I look forward to being your Authorized Disney Vacation Planner. I’m joined by my lovely wife, Jennifer, and two children, Abigail (8th grade) and Landon (5th grade). I am currently in the United States Air Force and have served for 21 years now. Disney is my passion! Having grown up less than an hour drive from Disneyland, I quickly became familiar with the Disney magic. Over the past 40 years, I have grown with Disney. I’ve had the opportunity to honeymoon at Walt Disney World, be a season pass holder at the Disneyland Resort, sail the high seas on the Disney Cruise Line, and walk my children down the same Main Street USA that I got to as a child. I can honestly say that every Disney experience I’ve had has been a positive one. 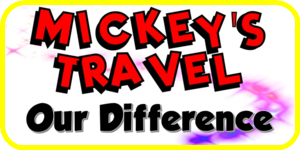 If you are looking for a magical getaway that will produce memories for years to come, a Disney vacation will do the trick. So why should you choose me to represent you? I think Julie Andrews said it best, “In every job that must be done, there is an element of fun. You find the fun and…SNAP! 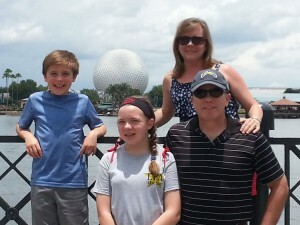 The job’s a game!” For me, helping others discover or rediscover the Disney Magic is my element of fun. I will enthusiastically work with you to set-up and deliver the absolute best and most memorable vacation possible for you and your family (or group). On top of that, it’s 100% free of charge to you. Please allow me to share my Disney knowledge with you today!